Firstly, thank you for all of the compliments, emails, likes and shares on this image – surprisingly far more than even the most popular gear review. Thank you also for the support for the last two runs, and all of the recent enquiries via email on prints of this image; it’s because of this that I’m pleased to offer one final print sale for 2013…read on to order and for more details. Only the clouds are truly free was shot at the top of Taipei 101 with a D800E and Zeiss Otus 1.4/55 APO Distagon; to paraphrase Nick Brandt it’s a subtle reminder that man does not have dominion over nature. We are often prisoners of our own choosing and device; I leave you to form your own conclusions as to the other details; I deliberately left it open ended. It is a homage to one of my inspirations – and I think the master of pleasing clouds – the painter Rene Magritte. 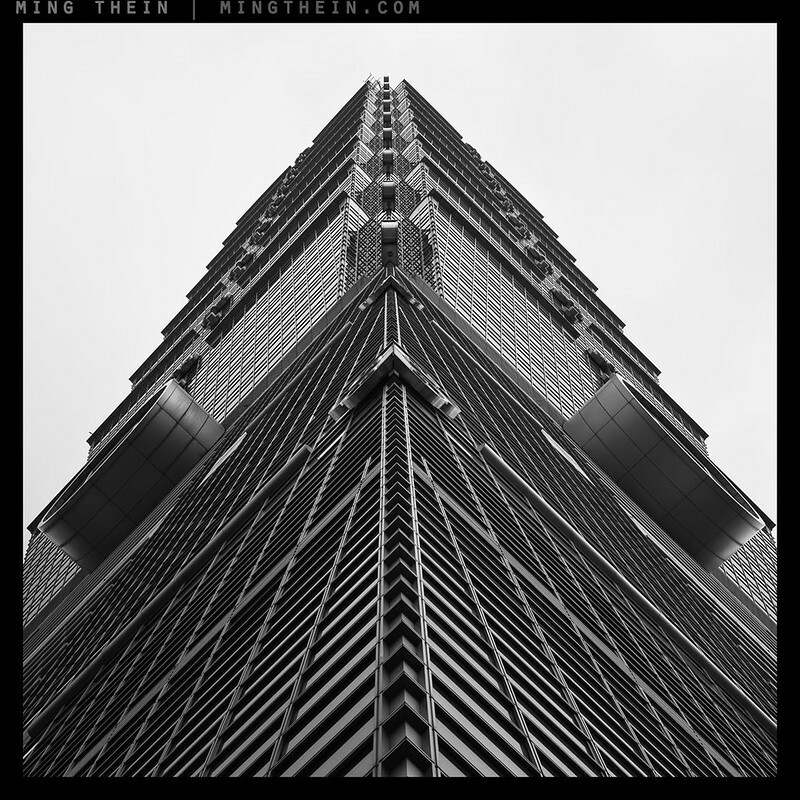 Verticality IV was shot from the other (base) end of Taipei 101, also with the D800E and Zeiss Otus 1.4/55 APO Distagon. It follows the same upward perspective as the other previous three images in the Verticality series. I am pleased to offer both of these images in a slightly different format to previous runs: a limited edition of 30 prints each at 24×16″ and 10×15″ for Only the Clouds… and another 30 prints each at 20×20″ and 12×12″ for Verticality IV. This is of course the printed area only. Per previous requests, I’m also offering a more easily hangable (and accessible) smaller size. Once again, both sizes will be printed by master Printer Wesley Wong of Giclee Art on the same 280gsm Sihl Photo Baryta as the Europe limited run. It has a texture and fiber-grain structure so rich that I have trouble printing on anything else. The image will be printed with pigment-based archival-grade inks, with a 100+ year lifespan; digital 800-pixel versions on a monitor really in no way does the print justice. The run will close on 31 December 2013, and we’ll print and ship in early January 2014. To order, please use either one of the buttons below, which will take you to a Paypal checkout which accepts credit cards. Don’t forget to include your address and phone number for the shipping. 2014 Making Outstanding Images Workshops: Melbourne, Sydney and London – click here for more information and to book! I know it’s not 2013 anymore but the bottom of the post (before the jump) mentioned that you still have prints? Any leftovers for Only the clouds are truly free by any chance? Is it possible that if I order now, but you can keep the print for a while. There’s no one at home until April next year. I’ll be back by then. Great decision on the optional sizes and pricing. If I had any cash, I’d be right in there. Although, what I really need is the video series on Photoshop. Amazing how much dithering and decision angst being broke can ease. Just ordered Verticality iv. Thanks for offering that one! Should be excellent in large 20×20 print seeing all the detail from the Otus with its nice rendering. Your “Only the clouds” image is the best you’ve done. It is a remarkable composition. I love it. While nature is at the forefront of your image, it also is the man’s presence that draws me into possible stories. 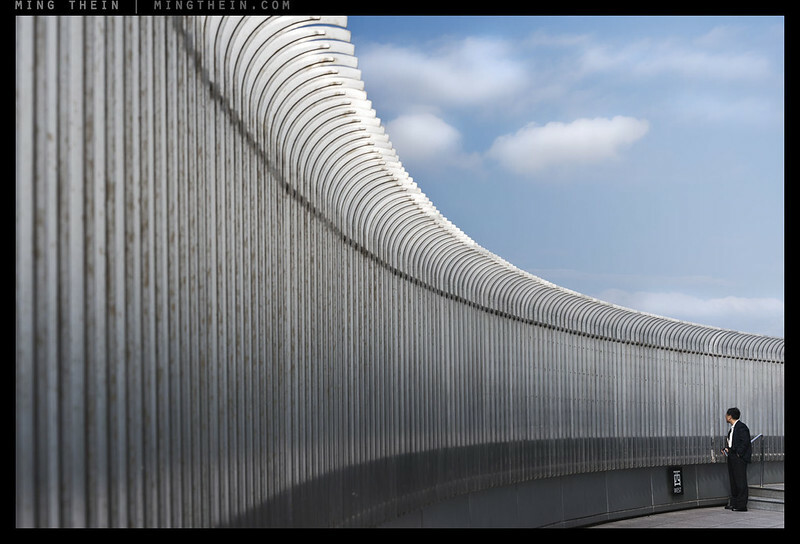 His uncertainty against the eloquent design of the wall brings wonder to the image. It sure is a fanntastic photo, cool! Awesome. This is a tough one because I like both. Ming, like that fence. Is it keeping him in or out? Actually, from falling off. Was shot from an open balcony on the top of Taipei 101 on the 95th floor. Wonderful print run! The clouds is very much like a painting. There is something wonderfully unsettling about “Only the clouds are truly free was”, so I’m glad to have secured a copy. I’m sure the sentiment has been expressed more eloquently before (probably by you!) – ultimately it is the vision of the photographer that makes the image. I’m drawn to what you saw, and will enjoy hanging it. Thank you. Thanks for your support, Linden! I’ll send out confirmations once I get back to the studio (no access to paypal here).